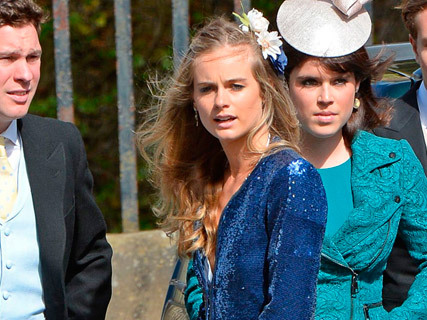 Prince Harry and his girlfriend Cressida Bonas enjoyed another cosy London date at the weekend. The pair were spotted hanging out at the Mumford & Sons gig at the Olympic Park on Saturday. Onlookers say the loved-up pair looked like they were having a great time – and were even singing along to the lyrics. We spoke to deputy editor of NME, Eve Barlow, who told us: ‘Prince Harry was hanging about, chilling out backstage at Mumford & Sons’ Summer Stampede gig at the Queen Elizabeth Park in London on Saturday night, quite late. He seemed to be just with a few friends and was very relaxed. Eve added that Prince Harry and Marcus then shared a hug before parting ways. 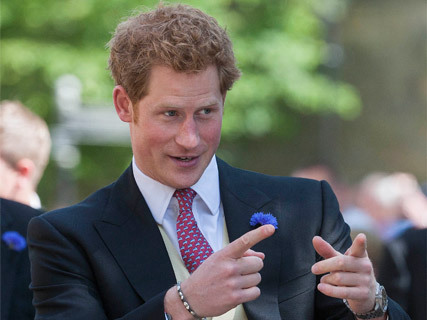 Carey, Marcus Mumford, Prince Harry and Cressida Bonas? Could this be the greatest double date ever? Prince Harry‘s PDA comes just a week after he was spotted hanging out at Glastonbury with his girlfriend. Cressida Bonas was photographed wearing dungarees and a scrunchie while heading over to Harry with a plate of festival chips. The pair partied into the early hours in the Shangri-La area with Radiohead’s Thom Yorke. Room for one more next time, guys?